Crispin Porter & Bogusky London has hired Dave Buonaguidi, the Karmarama founder, as its first chief creative officer. Buonaguidi completes the revamped CP&B management team alongside Richard Pinder, the chief executive, Chris Chard, the planning director, and Mez Corfield, the chief finance officer. Pinder and Chard joined when CP&B bought The House Worldwide in June 2014. Corfield moved from Mother in April. Pinder said: "We have big innovative plans for the London office and Dave brings with him lots of experience, energy and fresh ideas that absolutely resonate with our vision for the business." 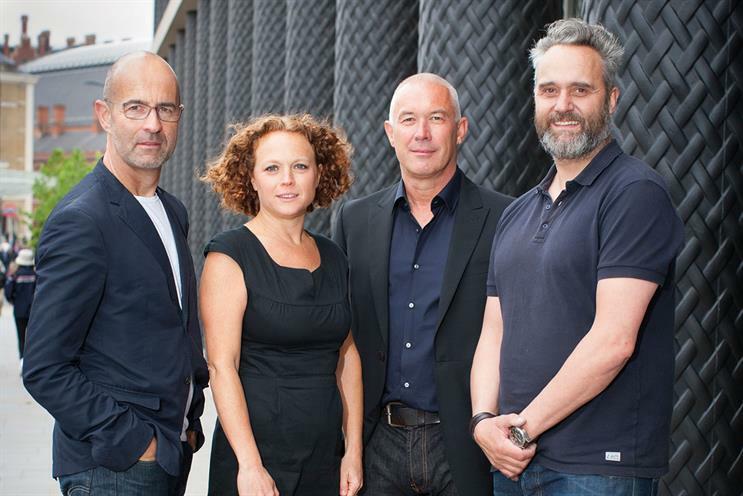 Buonaguidi replaces Matt Gooden and Ben Walker, the joint executive creative directors, who left the agency in March. Gooden and Walker departed after CP&B lost two of its biggest accounts, Milka and Paddy Power, which resulted in the agency making ten of its 60 staff in London redundant. Buonaguidi left Karmarama at the end of 2014 but retains a stake in the business. Last week, Karmarama hired Nik Studzinski, Droga5 Europe’s executive creative director, to replace him. Buonaguidi spent his time away from agencies making art, branded through his own studio, Acme, and developing a free school for creatives that is funded by brands. He will continue to get the school off the ground while working at CP&B. Jay Gelardi, who moved from CP&B in the US to lead the London office’s creative department on an interim basis, will remain in the UK until July to hand over responsibilities to Buonaguidi.